Even though we didn’t move to Canada until 1980, the love of 4-H took root quickly. I got my start in the South Simcoe Dairy Club back in 1982 when my Dad gave me my very first calf. I was hooked. Every year in the Dairy Club Dad would give us our own calf…those girls helped put me through college! The following year I also joined the Cain’s Corner Homemaking Club and did projects until I was finished college. By the mid 80’s my Mom, who was driving back and forth to 4-H meetings anyway, decided to become a leader herself (at that time 4-H leaders in our area had to join their local Women’s Institute who sponsored the 4-H club). She was a leader for many years. 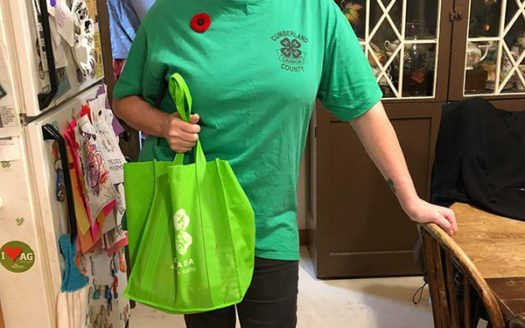 I have great memories of judging competitions in Elmvale, showing at the Stayner and Barrie Fairs, County Achievement Programs for the homemaking clubs, attending the CNE Conference, and 4-H Leadership Camp at U of G.
Once we had our own kids and they were old enough to join (the age was lowered to 10 by then), I became a 4-H leader and revived the Grey Township Life Skills Club that had not been active for more than a decade. 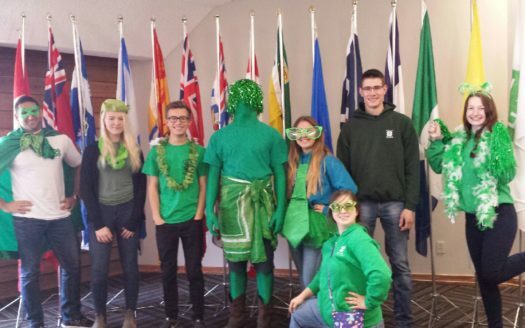 Our 3 kids were all involved in this club and others in Huron County, and they’ve also enjoyed the many provincial opportunities that 4-H Ontario offers (YAC, PLC, Ignite, FLIA). Although my kids are now grown, I continue to be involved as a leader. I’m most proud of our 4-H members who have gone on to become 4-H leaders themselves (3 so far!). 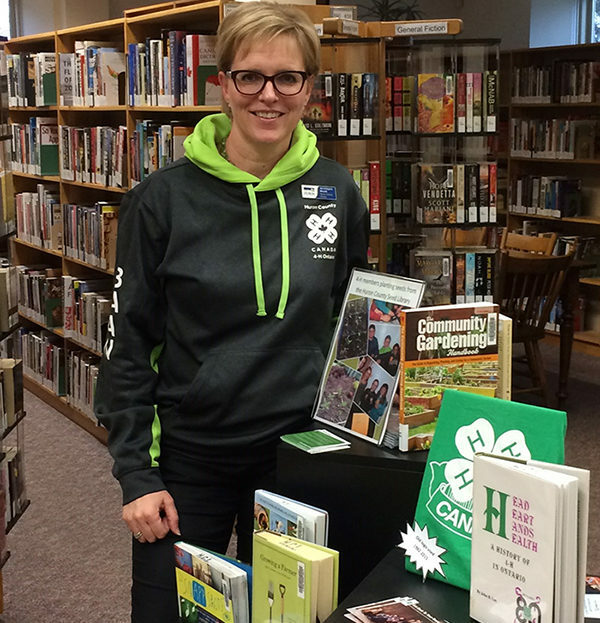 I try to promote the 4-H program where ever I can. 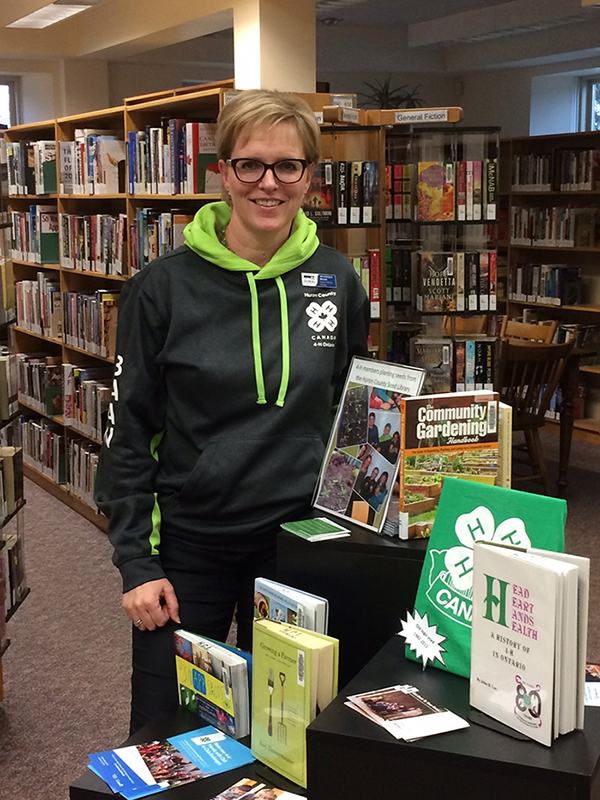 I work in the local library and am able to make a display each year to promote 4-H and raise awareness with the #ShowYour4HColours program. 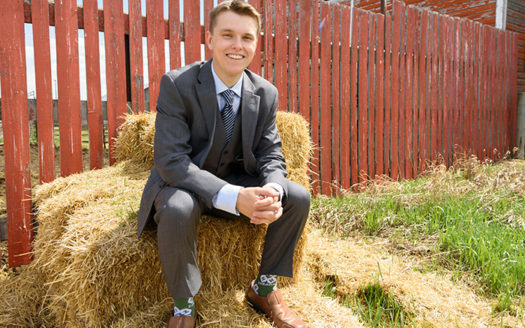 We’re also very proud of our oldest son, who is the 3rd generation to become a 4-H Ontario Leader and who works for 4-H Canada in Ottawa.